The number of South Koreans treated for depression last year rose 15.8 percent from five years before, government data showed. 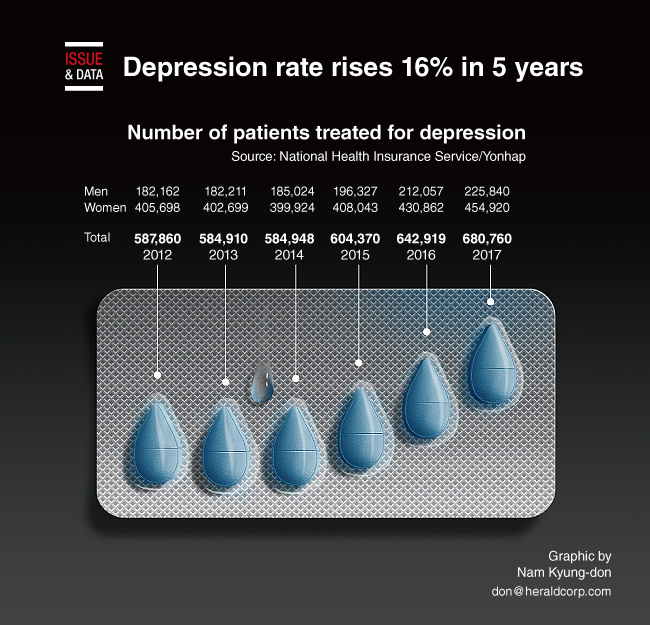 Some 681,000 patients were treated for depression last year, up from 588,000 tallied in 2012, according to the data compiled by the National Health Insurance Service. While the number for women grew 12.1 percent from 406,000 to 455,000, the comparable figure for men jumped 24 percent from 182,000 to 226,000, the data showed.